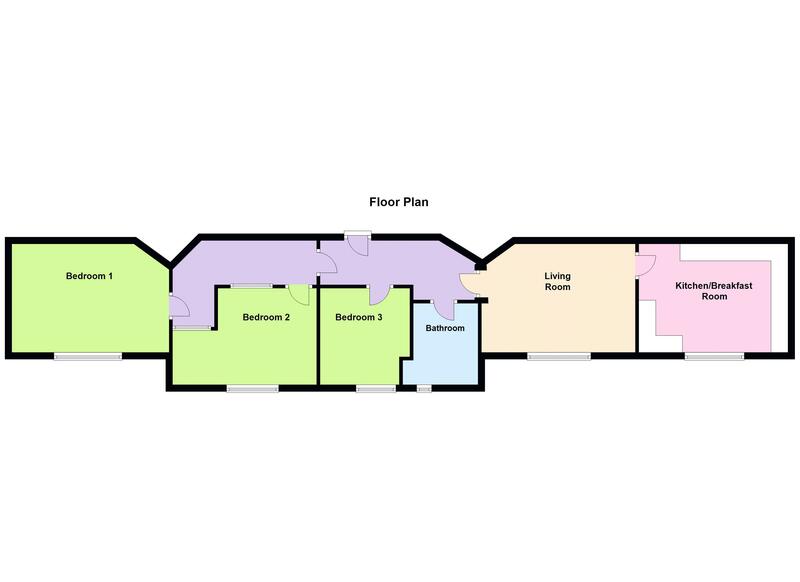 Robert Luff & Co are delighted to offer to the market this third floor flat in the popular Dolphin Lodge development. Accommodation offers entrance hall, living room three bedrooms, and a family bathroom. Other benefits include a good length lease and sea views. Double glazed leaded light window to front aspect again enjoying wonderful views, wall mounted electric heater, one and a half bowl sink unit inset to roll top work surfaces and matching range of wall and base units, built in eye level double oven, four ring gas hob with extractor hood above, space and plumbing for washing machine, fridge, separate freezer, as well as space for american style fridge, part tiled walls, ample space for table and chairs and skimmed ceiling. Double glazed leaded light window to front enjoying wonderful views and wall mounted electric heater. Double glazed leaded light window to front enjoying a lovely sea view, wall mounted electric heater, further wall mounted heater, TV point, space for wardrobes and textured ceiling. Double glazed leaded light windows to front aspect enjoying a lovely roof top view, TV point, space for wardrobes and textured ceiling. Double glazed leaded light window to front aspect enjoying sea and downland views, space for wardrobes and textured ceiling. Double glazed leaded light window to front aspect, panel enclosed bath with mixer tap and mains shower over, low level flush WC, pedestal wash hand basin with tiled splash back, part tiled walls, wall mounted shaving point and textured ceiling. 141 years remaining on the lease.